Injury at the hands of another person’s negligence and carelessness can have devastating effects on your life. At McWhirter, Bellinger & Associates, our personal injury lawyers understand the trauma and stress that injury to you or your loved one brings to your family. For more than 30 years in Columbia and throughout South Carolina, our personal injury lawyers have represented clients in many personal injury practice areas. We fight for the compensation that personal injury victims like you deserve. Our South Carolina personal injury lawyers know that you probably haven’t prepared for the costs of long-term recovery and expensive treatments. No one plans for this kind of misfortune, and you shouldn’t have to. At McWhirter, Bellinger & Associates, we want to help you recover these costs. You should be able to focus on healing without the added stress of worrying about paying for your recovery. Our experienced injury lawyers can help you seek compensation for the losses you have already incurred and may continue to accrue for the rest your life. If you or a loved one has been injured because of someone else’s negligence, you may have a personal injury claim. Our personal injury lawyers at McWhirter, Bellinger & Associates, P.A., can put their years of experience in the Columbia area to work for you. We may be able to help you get the compensation you deserve. Injuries occur every day from auto accidents, defective products, medical malpractice, and a host of other causes. If you’ve suffered an injury and are dealing with mounting medical bills, pain and suffering, or the inability to return to work, you will want to seek out our personal injury lawyers to review the extent of your injuries and determine how we might best help you pursue a legal cause of action. At McWhirter, Bellinger & Associates, P.A., we are happy to discuss your potential case for free. You should be able to make an informed decision about moving forward with your legal case once you have the opportunity to speak with one of our personal injury lawyers and discuss the merits of your case. Is someone else at fault? Were you involved in an auto or boating accident where the other driver was at fault? Did you receive defective, dangerous drugs that resulted in harmful side effects? Did someone’s dog bite you? Did you slip and fall on someone else’s premises? If someone else caused your injuries, then you can likely make a claim against them. One of the reasons to file a personal injury claim is to get the compensation for which you are entitled. These damage payments can allow you to pay your medical bills, pay for your rehabilitation, and start putting your life back together. One of our personal injury lawyers will help you identify who you might be able to recover damages from for your injuries. In Columbia and all over South Carolina, our personal injury lawyers at McWhirter, Bellinger & Associates represent clients who are suffering from all types of personal injuries. If you have been injured because of the negligence of another, you may have a claim for compensation for your injuries. Our personal injury lawyers can evaluate the strength of your claim and advise you on moving forward. Auto accidents. A motorist can be distracted, under the influence of alcohol or drugs, speeding or driving recklessly. All of which can lead to a life changing accident for you. Boating accidents. As recreational boating has increased in recent years, so have associated accidents for all kinds of watercraft. Defective products. Not all products are thoroughly tested before they are widely distributed. Products are recalled every day because defects are discovered. Medical malpractice. When you go in for a medical procedure, you trust that the medical professionals taking care of you are providing you with appropriate care. When they neglect to follow accepted standards of care, they put your health at risk. Dog bites. Children and adults have unavoidable confrontations with canines that result in physical and psychological injury. Mesothelioma. This kind of cancer usually results from exposure to asbestos in the workplace. The often late-stage diagnosis of this form of cancer makes survival rates lower than other forms of cancer. Nursing home abuse. When leaving an elderly family member under the care and supervision of others, you expect a supportive environment for your loved one. Too often nursing homes violate your trust, and your loved one suffers. 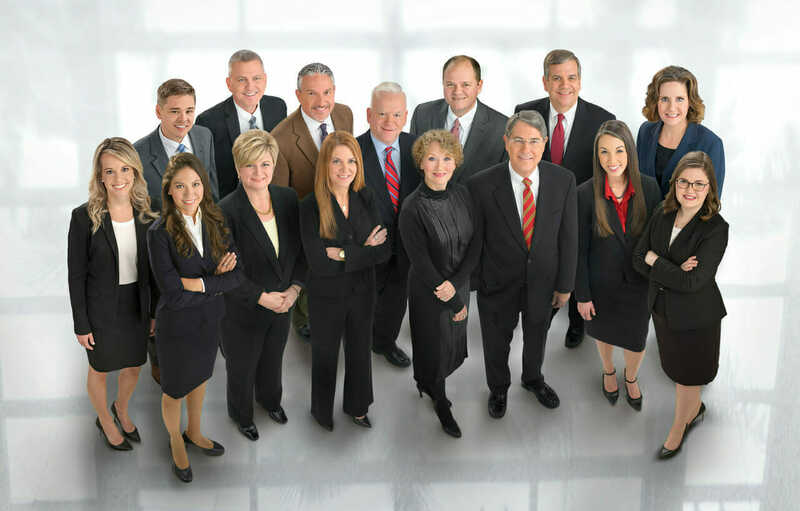 Our personal injury lawyers are available in offices throughout South Carolina to represent you where you live. We are accustomed to working with medical experts, accident reconstructionists and within the South Carolina court system. We will work to build a strong case and get you the compensation you need for recovery. If you have been injured and need to speak with an injury lawyer in Columbia, South Carolina, or the surrounding areas, please contact McWhirter, Bellinger & Associates for your free initial consultation.